Speakers drive change through the delivery of their message. However, not all speakers or speaking engagements are created equal. Some speaking is designed to inspire; others are designed to facilitate and guide the learning and understanding process; and still others are designed to dig a little deeper and train. The Institute brings expertise in all three areas. If needed, IHD can incorporate all three into our presentations. Our express interest and focus, however, is in doing what speakers do. We don’t merely inform; we bring value by connecting with the audience and delivering insights in ways that are credible and persuasive. Bernard and his team strive to make the spoken word come alive and, drawing on and translating more than 30 years of expertise, to connect with your audience of listeners. Speaking is not something you do to or in front of the audience, but, rather, it is something you do with your audience. It is a shared experience in listening, communicating, and learning. 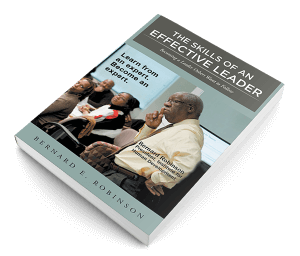 Most importantly, Bernard and his team translate a passion for the topic of leadership as a way of living out a vision on every assignment. Bernard Robinson and IHD’s speaking services are not only authentic, but also organized, passionate, natural, and engaging.